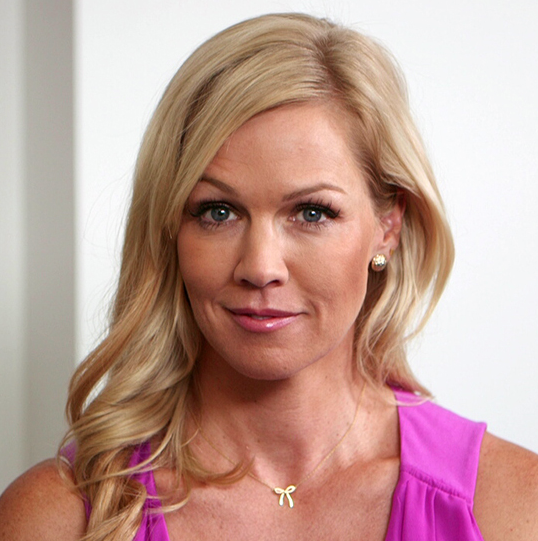 Actress Jennie Garth claims her friends were turned away from a Hollywood hot spot because they are Black. Jennie Garth went to a wildly popular club in Hollywood Monday night ... and abruptly left in a huff, claiming the bouncers turned away her 3 friends ... all of whom were black males. Jennie's people claim the "90210" star went to DBA with 2 white girlfriends and 3 black men. She says the bouncer told her and the other women they were invited in but refused to let the guys go past the velvet ropes. Jennie stormed off ... appearing to cry and flipping off the photogs. You don't see the guys in the photo. One of the photogs told us it looked like the whole group was denied, but Jennie insists the women were given an entry. As for the club ... so far no comment. Believe it people. Have had same experiences. I believe her. Why would she lie about that? Besides, it happens all the time.